Fishing, Sightseeing and Shelling on Marco Island is our specialty! 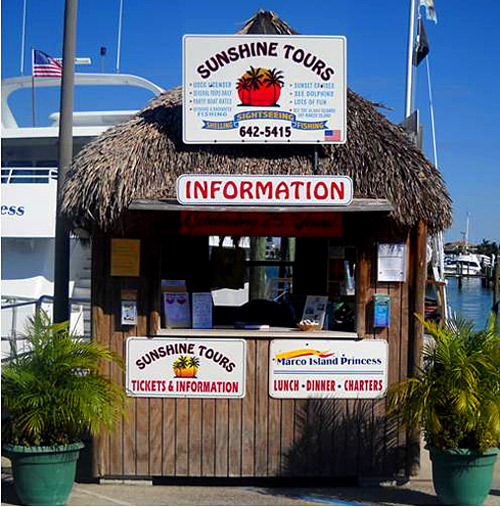 The Sunshine Tours “Chickee Hut”, located at Rose Marina on Bald Eagle Drive. Only 5 minutes away from anywhere on the island, and only 25 minutes from Naples. We can provide answers to any questions you may have about what to do on the water. Stop by and see us or call (239) 642-5415.